Request a Lunch and Learn Today! 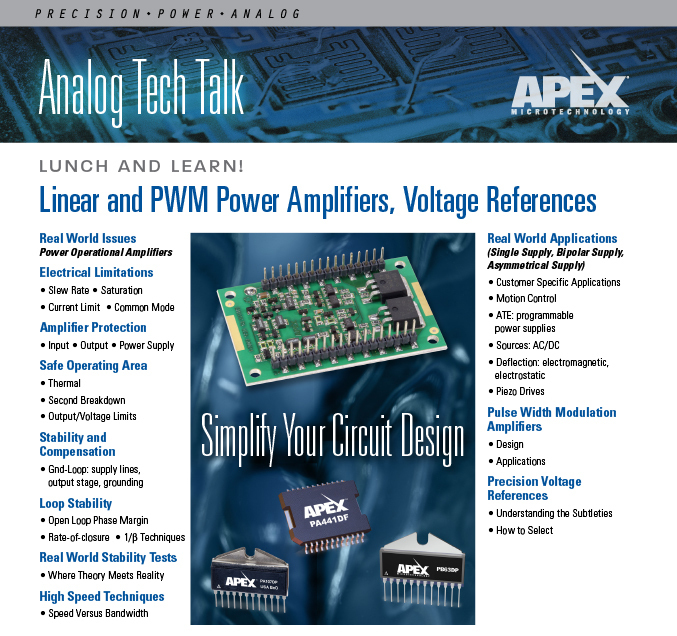 Invite an Apex Application Engineer to your place for a lunchtime analog technical seminar on a design topic of your choosing (select from the list below). Or take a look at the Apex Technical Seminar Workbook to review possible topics. And remember, lunch is on us! For more information, or to request hosting an Apex Lunch and Learn, please provide your contact information in the form below. We look forward to talking with you!